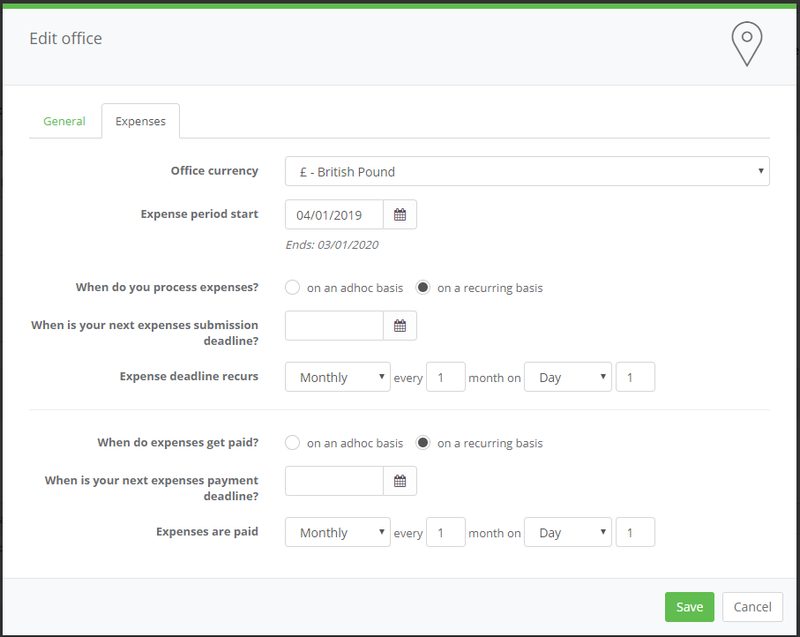 Within the General tab, scroll to the Enable features section and tick the Expenses checkbox. NB: This is enabled by default for all new companies. 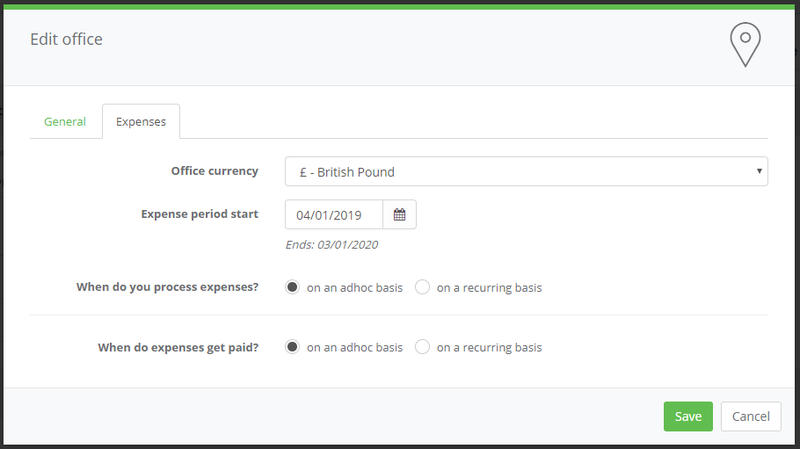 If you are setting up your Staff Squared account for the first time you can add your Office expenses settings when you complete your Company Profile. 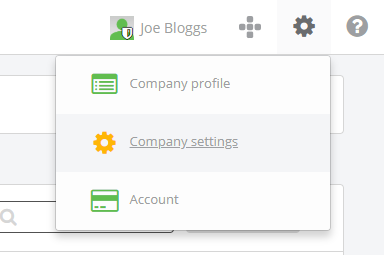 If you already have an account and want to set up expenses for your company, first go to your Company Settings, then click on the Expenses tab. This will take you to a new page where you will see a list of your existing offices. To edit the expense settings for your Head Office, click Edit next to the office at the top of the list. Here you're able to change the settings as needed. Choosing to set When do you process expenses? and/or When do expenses get paid? to on a recurring basis will show additional options. 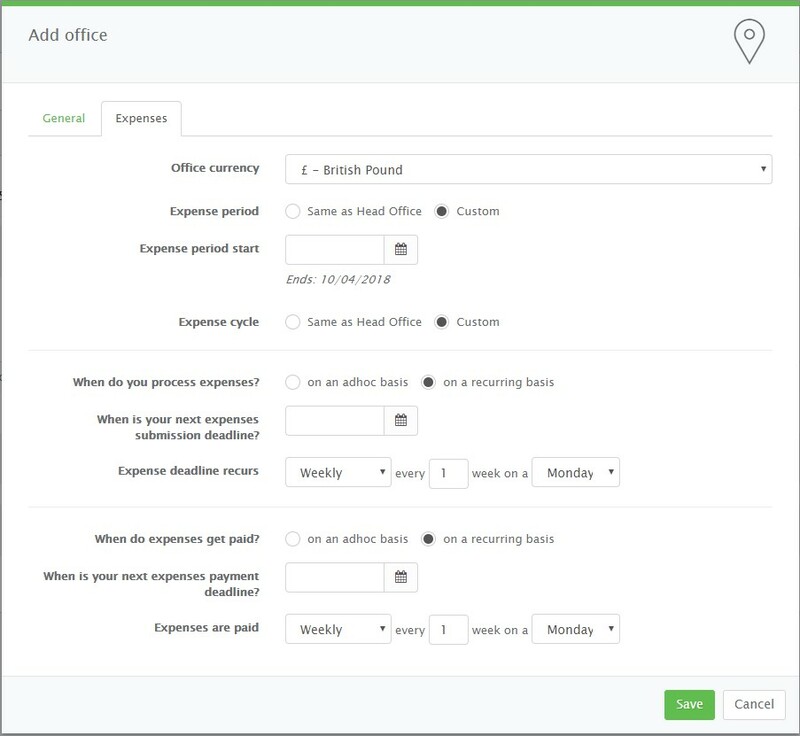 When you add an additional office, or edit one that isn't the Head Office, you have the option to make the expense settings the same as the Head Office, or individual to that office. To set individual settings, click Custom within the Expense period and/or Expense cycle. This then shows additional options for you to set.